Mobile tap-to-pay systems have been struggling to find adoption, and despite Tim Cook proclaiming 2015 as the "year of Apple Pay", Apple's mobile payment system is following the same slow growth pattern as everyone else. Of course, to hear Apple spin it, Apple Pay is doing quite well, but retailers and analysts aren't telling the same story as Apple. 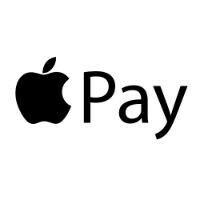 In a statement, Apple said that Apple pay was seeing "continued, double-digit monthly growth in Apple Pay transactions since launch" and even noted their ubiquitous customer satisfaction surveys show that Apple Pay has a 98% satisfaction rating. Both of those statements are likely accurate, but according to researcher Aite Group, that double-digit growth has only added up to Apple Pay making up 1% of all payment transactions in the U.S.. And, users who have tried Apple Pay may have a 98% satisfaction rating, but many surveys show that the majority of users have never even tried the service. None of this should be surprising though. Google notably claimed that Wallet transactions doubled once it was opened up for use with all credit and debit cards, but as with Apple Pay now, it's very easy to double a number that isn't all that big to begin with. But, the future is still bright for mobile payment systems, be it Apple Pay, Samsung Pay, or even Android Pay, because the fact is that the install base for tap-to-pay terminals is still quite low in the U.S.. Retailers in the U.S. were supposed to make the switch to EMV terminals by October 1st in order to avoid the fraud liability shift, but most have yet to make the change. Once those terminals are in place, far more places will accept tap-to-pay, which should help growth of all options. I think Apple Pay will disappear if Apple doesn't implement it right. I would use Samsung pay if Verizon stop blocking it. They have stopped blocking it. VZW is pushing an update that will make Samsung Pay available before this month is out. No point in this ridiculous "pay with your phone" scheme. Security? Chip cards are rolling out we'll be using them exclusively soon in the US, as the rest of the world has been doing for a decade. Chip cards use the same security principle without having to use a phone to pay for a burger or pair of jeans. Completely redundant. Wanting to invent a need doesn't mean everyone will see it as such. Even with chip readers, all terminals will still support swiping as a backup. Stop being clueless. I wonder how well they will work in Denmark IF they ever get here. Cannot see the banks working with Apple, Google or Samsung to compete with their own apps. The biggest Danish bank has its own MobilePay and all the other banks have worked together and created Swipp so mobile payment have existed for years. And now that Mastercard and VISA both have NFC in their cards and you don't need to swipe the card, but just use NFC, why bother with the phone? Since you KNOW that the card works. yeah the only system I really see having the ability to get any traction in Denmark is Samsung Pay because it can use both nfc and magnetic so it is backwards compatible, Apple pay only work with certain terminals, and that's its downfall if you ask me, that they want people to use 'apple' stuff but as popular as apple is, why would people switch terminals (in our case) 'again' just to work with Apple when we have everything else? I've been using Samsung Pay at about 99% of the places that I shop at, and it works flawlessly. The only place that it doesn't work is gas station pumps. Android Pay and Apple Pay are way behind. I did hear it can work at the pump. You have to simply stick a card like your ID into the reader to force it to try to read and that si when you use your phone. I haven't tried it. But I am going to try it at the shell today and see if it works. Samsung Pay is the king, it good great and can use almost 99% everywhere credit card excepted. Apple Pay will continue to grow as long as Apple keeps spending money on it, which they will. I'm sure it'll be more successful than Android Pay. Samsung Pay, however, is a different story. It's actually accepted everywhere to a point where it can almost replace your debit/credit cards. The problem is that most people who have Samsung phones don't even know how to use Samsung Pay. This will be an interesting battle but I think Samsung Pay will come out on top at the end. The biggest problem with these NFC payment systems is that most stores are still not equipped to accept the payments yet. I was at Vons and 7-Eleven this weekend and both places didn't have NFC pay systems in place. I would have loved to use my phone to pay but just couldn't. Yeah, and Apple pay doesn't even work with all NFC terminals last I checked, Samsung pay works with more or less any terminal that exists currently, heck last I checked Samsung Pay will work as long worldwide now even though it isn't 'launched' as long as you have the app. Honestly, I'm surprised at the number of stores that not only don't accept NFC payments, but still don't accept the RFID chip in my card. With the CC companies shifting fraud responsibility to them, I thought the retailers would hightail to the new systems, but there doesn't seem to be any sense of urgency. BUSTED!!!!! The problem is all the payments systems suffer from similar limits. The common denominator of all 3 is banks. Considering you have so many banks. You have big banks, mid sized banks, small banks, neighborhood banks, it si going to be hard to get fast adoption. Here is what they all should have did. They should have made the service work with any card that supports a major card issuer, not a specific bank. In other words, any card sporting a Visa or MasterCard logo should work, just like you bancards do. Tying the service to specific banks just isnt goign to work. I have 4 cards and I can only add 2. AMEX works with all 3. Discover works with all 3. My debit card from Chase works with none, whch puzzles me because Samsung showed that Chase was onboard when they first announced the Samsung Pay service. My CreditOne Visa only works with Android Pay. I also have a PrePaid AMEx for my wife, but hers doesnt work with either pay ssytem and I have one as well and it only works with Android Pay, but both of the cards weer issued by different banks. All we need is the services to be fixed so that they work with AMEX, Discover and all Visa/MC cards and the mobile payment problem will be solved. Apple own limits are it only works with NFC in addition to the bank issue. Samung Pay works with any terminal pretty much, not enough card support. Wallet has more card support per se, but not enough bank support. But so far I have been able to use Samsung Pay in more places vs Android Pay, but I dont like using AMEX on small purchases like McDonalds. It was so funny when I went into Jewel, which their terminal doesn't even have the NFC logo and she said they don't accept mobile payments yet and I opened Samsung Pay and paid. She was like, I stand corrected. I said yes it wont work with Apple Pay or Android Pay, but Samsung Pay works with nearly any card reader.